[Vigor3900] How to block YouTube (with LAN DNS)? - DrayTek Corp.
[Vigor3900] How to block YouTube (with LAN DNS)? 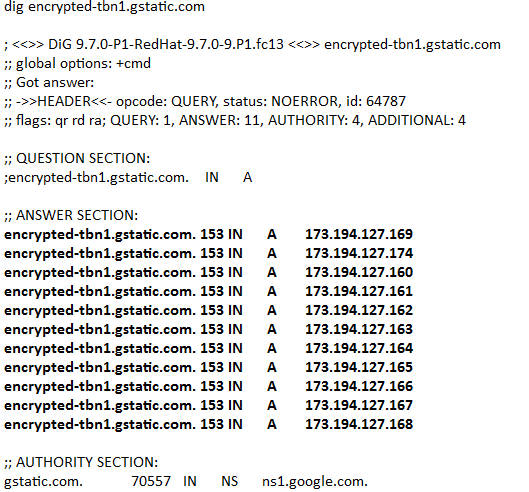 From Dig command (or nslookup), we can see that some of the Google service (e.g. gstatics.com) shares the same IP groups with YouTube websites(as the following images show). Since the both websites are using the same IP group, using Keyword Block and Web Content Filter to block YouTube may also block some of the Google services at the same time. Therefore, it is suggested to use the LAN DNS to block YouTube. 1. Create a LAN DNS profile: Go to LAN >> LAN DNS, click Add and configure profile details. Check Status to enable the LAN DNS profile. Input "youtube.com" for Domain Name. Click Add then input "www.youtube.com" for CNAME. Click Save to save the CNAME setting. Input an invalid IP address, such as 1.1.1.1. 2. Enable DNS Redirection: Go to LAN >> General Setup, in a LAN profile in use, enable DNS Redirection. 4. 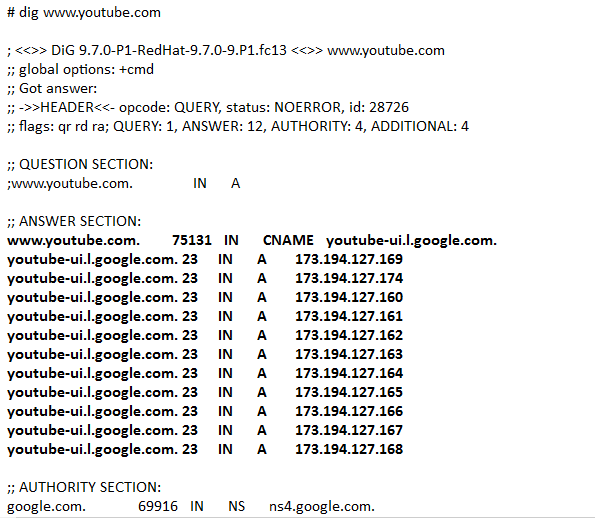 In this example, when PC is sending DNS query to ask who is www.youtube.com, Vigor3900 will respond the IP of www.youtube.com is 1.1.1.1. Since 1.1.1.1 is not the real IP of www.youtube.com,the PC cannot access it now. And please note that LAN DNS settings will apply to all the LAN client, if you'd like to block YouTube from some IP only, please refer to the article here. 13[Vigor3900] How to block YouTube (with LAN DNS)? has been viewed------ 13 ------times.